Perhaps one of the highlights of a Bolivian adventure, Isla del Sol is a large island with several traditional communities completely surrounded by Lake Titicaca. 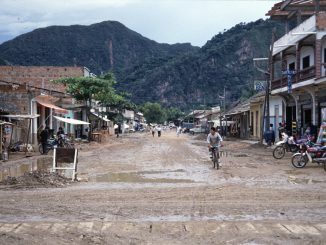 The Inca mythical birthplace of Manco Cápac, a son of the Sun deity Inti, Isla del Sol is the Inca birthplace of the Sun. It is said that Manco Cápac emerged from a crag in a large sandstone outcrop on the northern section of the island and brought sunlight with him. In the 10th century a convent for chosen women, and a small inn for visiting pilgrims was built on the site. 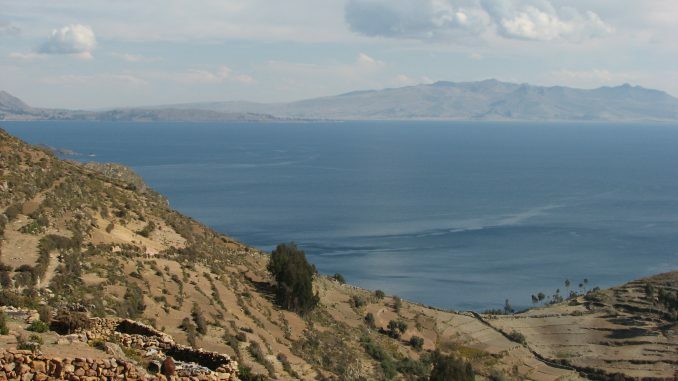 There are over 80 ruins scattered throughout Isla del Sol, most of which date to the Inca period. Huellas del Sol, the footprints of the Sun are foot-shaped prints said to have been created when the sun walked from the Sacred Rock to light the world. The Inca Steps are more than 200 steps leading to the village of Yumani and a sacred “fountain of youth” that were built by the Inca. Agree on a price for everything before you take part in it. Weather it’s hiring a guide or taking a boat, make sure you know what it will cost when things are finished. This being said, locals rely heavily on tourism so don’t haggle too much if the difference is going to be fifteen cents. There is now a decent amount of tourism on this island and the infrastructure likewise reflects the increased seasonal population. Take your hiking boots with you. The locals make traversing the trails look very easy but it’s not. Wet and muddy trails can make going up or coming down from the top quite an adventure. Make sure that you agree on a price beforehand if anyone offers to help you carry your bags. That being said, hire someone to help you carry your bags as the altitude, terrain, and sun will make it almost impossible to do so yourself. If you are not in great shape make sure you have a hotel that is easily accessible before you arrive on the island. They fill up quickly and you may not be able to make the trek all the way to the top. There are no cars or motorized vehicles on this island so you will be walking a lot. If you can make it to the top you will be rewarded with some exceptional views that make it worth the worth the extra effort. There are extensive networks of walking trails that make exploration easy but the sun and the altitude will work against you, Take extra water with you while out and about and pack snacks, sunscreen, and sunglasses. Get a better experience by hiring a local guide. They will be able to better explain the history behind specific archaeological sites and it’s not too costly.